SSN Institutions, founded by Dr Shiv Nadar, Chairman, HCL Technologies, stands out as a premier centre of higher learning with a mission of pursuing excellence in education and research. The institutions, with their diverse and dynamic community of students, offer a distinctive combination of some of the finest graduate, undergraduate and research programs, accomplished faculty, world-class facilities and a residential campus set on a sprawling 250 acres of sylvan surroundings. SSN Institutions provide a variety of stimulating environments for intellectual development, free-thinking, and personal growth, challenging its students with dynamic learning opportunities and equipping them with the skills, insights, attitudes and practical experiences that are necessary to take up responsibilities in the society. With so much to offer, it is only natural that students of SSN get a unique opportunity to carve a niche for themselves in their chosen field of study that enables them to become well-rounded and discerning citizens, fully qualified for their chosen professions in the workplace. 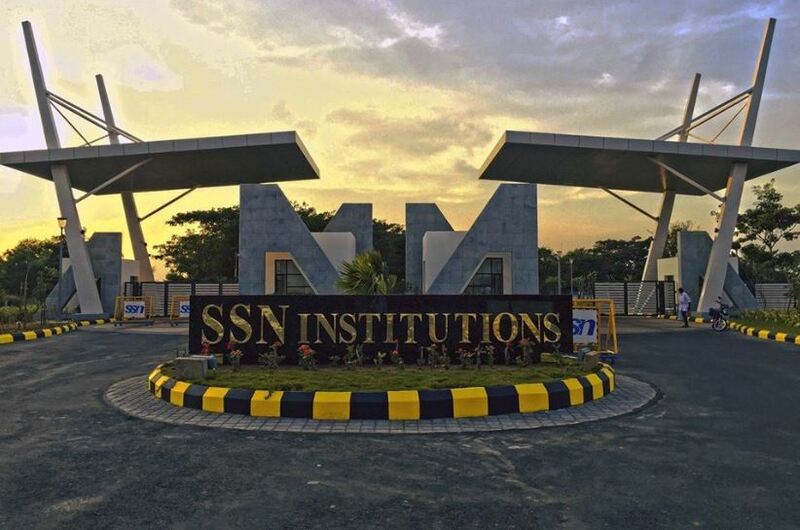 SSN Institutions provide a variety of stimulating environments for intellectual development, free-thinking, and personal growth, challenging its students with dynamic learning opportunities and equipping them with the skills, insights, attitudes and practical experiences that are necessary to take up responsibilities in the society. SSN Computer Lab Provides computing support to the user community consisting of students, faculty, research staff and office staff for academic and office automation purposes. Apart from this, each department has its own discipline based laboratories for study and research. 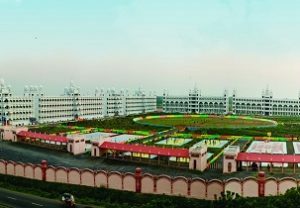 SSN is home to aesthetically designed buildings with state-of-the-art computer and internet facilities, modern workshops, seminar halls, auditoriums and well-stocked libraries, sports and games fields in addition to an indoor stadium with gymnasium. Our hostels are convenient, comfortable homes away from home with spacious rooms and ample storage. Internet access, via w-fi or wired connections, keeps our students plugged into online educational resources. Each hostel building is designed to be an independent unit with its own kitchen, dining hall, reading room/library, television and telephone facilities. There are separate hostels for boys and girls. Pre-placement training to students to make them ‘Plug & Play’ in the industry in the areas of Technical knowledge. Admission to all undergraduate courses ie. Bachelors in Engineering (B.E.) is carried out through the single window system of the Anna University. Students can choose the courses based upon the state-wise rank calculated by their marks in Higher Secondary Examination conducted by the Department of Education, Government of TamilNadu. Reservations are also provided for Physically handicapped / Ex-Servicemen / Sportspersons / Other state candidates. TNEA Admission process will commence after the counselling is over. Candidates have to report in the allotted colleges and submit the fees and complete the admission formalities. Candidates will have to verify their documents in the respective colleges and then pay the admission fees.